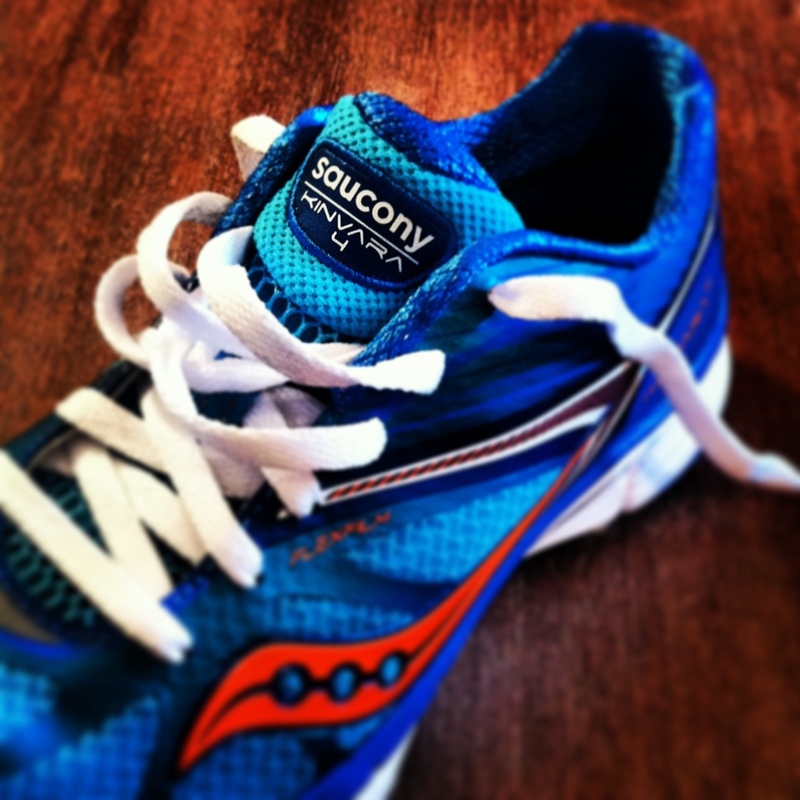 The Kinvara 2 has been my favorite version. When they released the Kinvara 3 last year I was bummed that the rise at the back of the heel rubbed my achilles a bit more than I’d like. Luckily, I was able to stockpile a few pairs of Kinvara 2s and track down a few more pairs with the help of Saucony when I could no longer find them online (super nice of them!). I went for my first run in the Kinvara 4s last night even though it was supposed to be a rest day. I can’t resist a new pair of shoes especially when: a) they’re my favorite shoe by far b) the colors are badass c) they have the potential of being my Boston race shoe! and d) it’s a gorgeous spring evening (now that it’s finally warming up in Chi). Coach approved a short jaunt to test the shoes and I was all too happy to take advantage. I took them out for a quick 3.5 miles. I’ll decide by this weekend if the Kinvara 4s will be my Boston race shoe but it’s certainly looking positive at this point! I’ll post a full review of the Kinvara 4s soon (hopefully before race day!). What’s your favorite shoe? Do you have a lot of different brands in your shoe closet or do you stick to a certain brand? The Kinvara is my shoe of choice as well, but I only started running in them in September. I’ve logged five marathons on them since and I haven’t had a single issue with them at all. I actually like the 3s more than the 2s, so I’m looking forward to stockpiling a bunch of them in the coming weeks. I will likely not wear the 4s until next year when the 5s come out. Alas, to run on some semblance of a budget. Right now I stick to Brooks Adrenalines and Mizuno Wave Nirvanas. Both have been recommended to me after a gait analysis (and after trying on a zillion pairs of other shoes), and I’ve gone through at least a couple pairs of both so I know they work well for me. I’m also trying a pair of Brooks PureCadence but I’m not sure about them yet. Oops major commenting failure. I am curious to see what the 4s are like. boston is in serious countdown mode now! so excited for you!!! i never asked you about your race day goals?!?!?! are you aiming for a schweet pr, or are you just going out there and planning on taking in the race for all of it’s glory? seems like you’re on track for quite a race! can’t wait to track you online and root for you from my computer on race day! Like you, I have fully transitioned to the Kinvara’s and like you I love the 2’s but the 3’s are doable. I am excited for the 4 as it will likely be my NYC Marathon shoe but really…I am more intrigued by the Kinvara TR 2 that will be released May 1st as well. Thanks for sharing the feedback, that color scheme on your 4’s is awesome!